Recently, however, reliable outdoorsy friends have been mumbling about returning to natural fibres like waxed cotton for outdoor gear. So imagine my pleasant surprise when I heard about the chance to test out the Talisman Jacket from Triple Aught Designs. 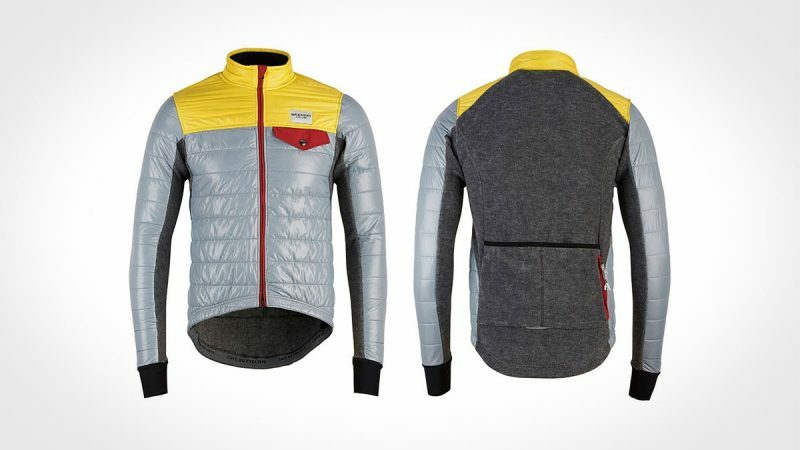 When I heard that this jacket was coming in for review, I wasn’t familiar with the product or the company at all. 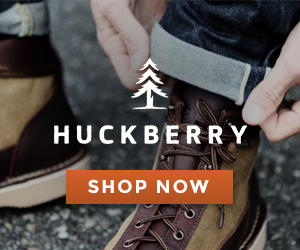 So I hit up the Triple Aught website to check things out. It became immediately apparent that this San Francisco, CA and Boulder, CO based company is serious about being outside, being prepared, and looking sharp. They draw parallels between the requirements of everyday urban survival and the engineering precision of military preparedness (ergo the Triple Aught reference to thousandth of an inch precision). A stretch? Maybe. But if that means well built, indestructible, and good looking gear, I could be convinced. They also have some excellent outdoor adventure videos featuring cello soundtracks AND they model this jacket while holding a freakin’ hawk. I like these guys. The Talisman Jacket is touted as “a balance of elegant geometry and heritage materials.” The outer shell is waxed cotton courtesy of Halley Stevenson, a Scottish company that has learned a thing or two about natural fibres since the it was founded more than a century and half ago. 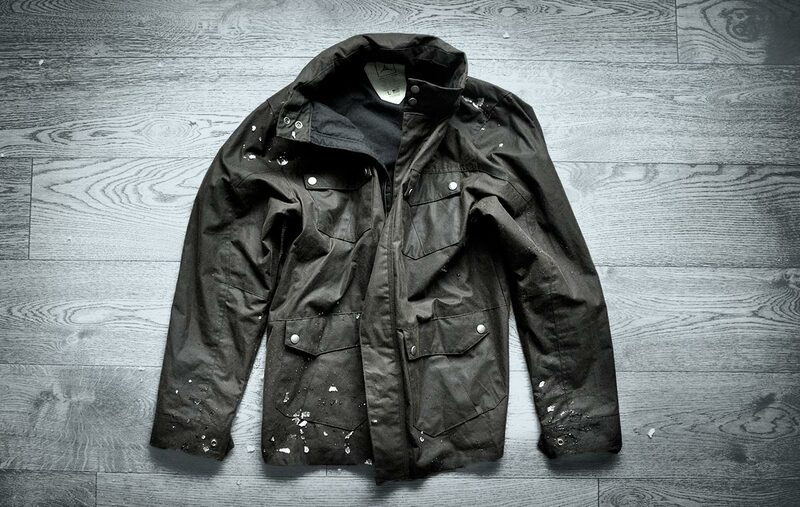 The jacket features all metal zippers, grommets, and button snaps. The cuffs are snap button adjustable and there’s a stow-away hood that zips into the collar. There are two large hip pockets and two smaller breast pockets, all with double button snaps, and there’s one hidden zipper pocket inside the left chest. Shoulders and elbows are fabric reinforced. My jacket came in the “Havana” colour, which appears cigar brown on the website but has a bit more olive green to it in real life. The inside liner is black. The other colour option is a very special-ops looking black on black. I went into this product test expecting an overbuilt but underwhelming jacket for the so-called “urban adventurer” whose idea of rugged is the first two minutes of their winter commute before their Land Rover warms up. But this misconception was exposed as soon as I picked up the Talisman jacket. First, it’s light. At about 1.2 kg (size large), it’s a bit heavier than most synthetic alternatives, but not by much. The words “waxed cotton” may bring mental images of bulky, heavy jackets like the Marlboro Man used to wear while riding horses in the rain. But this isn’t oilskin. Rather, this is a tried and tested fabric recipe that has been used for hundreds of years for sailors, outdoor workers, and adventurers. The fabric does not have a waxy feel as I expected, but rather a pleasant velvety texture. 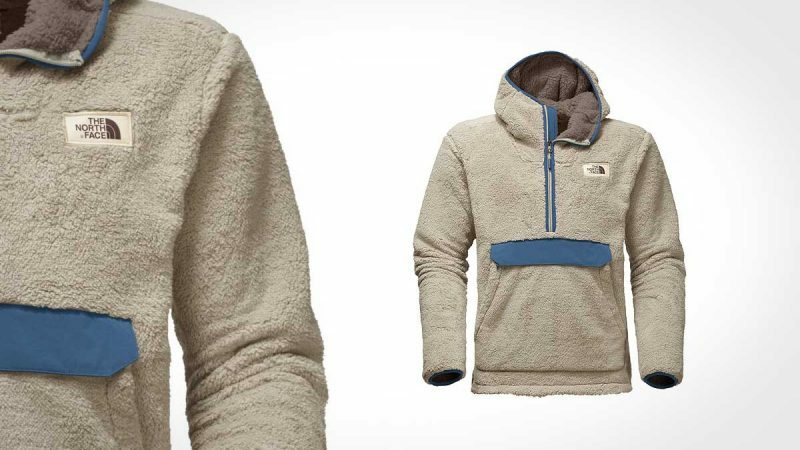 You could almost cuddle this jacket to sleep. Second, it’s perfectly built. There is neither an ugly nor wavy stitch on the entire jacket. The seams in high-wear and high-stress spots are double sewn and most of the rest are hidden. The result is a sharp and durable looking product. Third, the care instructions are just what I’m looking for: “Do not wash. Do not dry. Do not iron. Brush off any dirt.” Done. 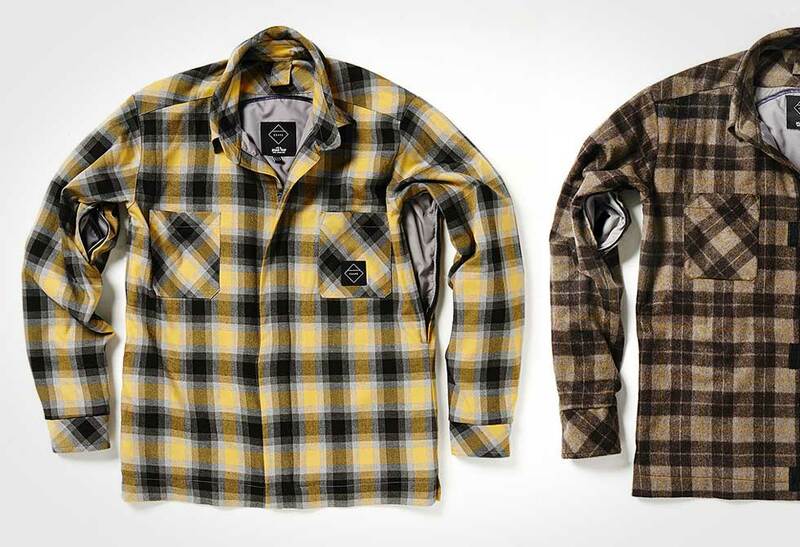 The waxed cotton outer does need semi-regular re-waxing treatment, the frequency of which depends on frequency of use and weather, but about once per year is suggested. 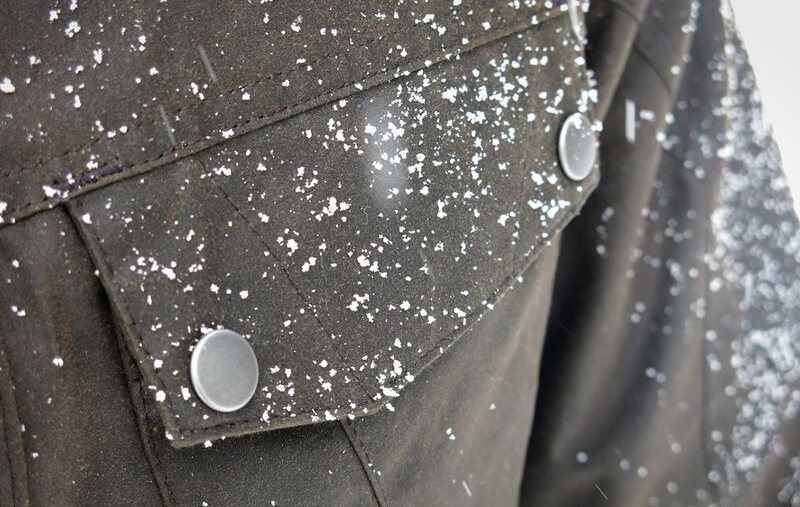 It took some time through our beautiful autumn and winter, but when we finally got some ugly weather for proper jacket testing, I grabbed the Talisman and braved the outdoors (who hasn’t been waiting their whole life to say those words?). On warmer winter days around freezing, the jacket was plenty warm enough with a light sweater underneath. When the mercury dropped, I could stay comfortable in the jacket with some good layering until about -15C. The jacket’s wind stopping quality was impressive, especially given the wider cut at the waist. The cotton hood left something to be desired in the wind, but it’s a welcome “just in case” addition that disappears neatly into the collar when not needed. For standing around in the cold, you’ll never be as warm in the Talisman as you would be in a down or synthetic loft lined shell jacket. But this jacket wasn’t made for standing around. Everything about it wants you to move. As soon as I started moving about with any effort, the warmth of the jacket became apparent, and not in the way a poorly breathing shell can trap sweat and moisture with heat. The Halley Stevenson waxed cotton breathed easily as well as any Gore-Tex or soft shell outers, while holding in warmth and cutting wind. Even on extremely cold days down to -30C, I could stay comfortable moving in the jacket wearing a decently thick base layer. And here’s where I return to the fit of the Talisman: the range of motion in the jacket is excellent. 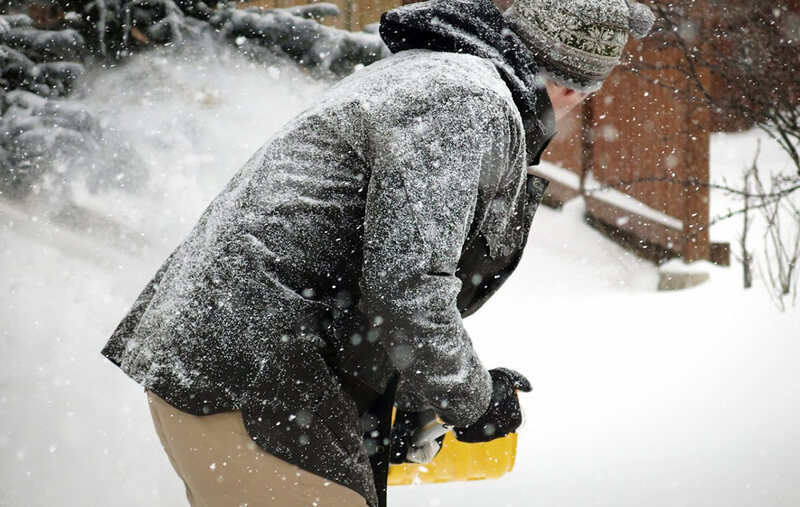 Any oddness in the cut of the jacket I felt when standing around became a naturally feeling fit when performing manly (sub)urban tasks like shovelling snow, chopping wood, or carrying scrap pieces from my kitchen renovation out to the recycle bin. This is all thanks to the relaxed fit around the hips and back as well as the drop tail hem and the high front zipper (the bottom of the zipper ends about at belt level, a good 6” above the bottom hem). To fit a large perfectly, I think you should be about 5’11” to 6’3” tall with a solid build, about 190-210lbs, and slightly longer arms are no problem. Though better than my first impression, the fit still isn’t ideal for my body, but I really like the styling and appreciate the quality of the fabric and freedom of movement enough that I’ll certainly continue to wear it often. 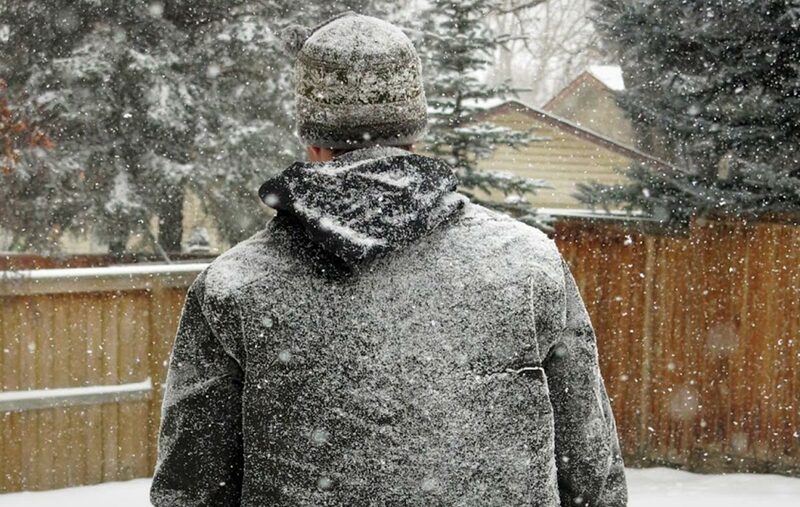 While Canadian winters aren’t known for their rain, we had no shortage of snow in which to test the jacket’s water repellence. Even as I warmed up working, snow piled up on the jacket and tended to just fall off the smooth fabric without absorbing, a further testament to the heat-trapping of the fabric. As a proper test, I brought the jacket inside with a good amount of snow on it and hung it up. Even hours afterwards, the melting snow was still beading on the shoulders with no feeling of dampness in the outer waxed shell and bone dry on the inside. 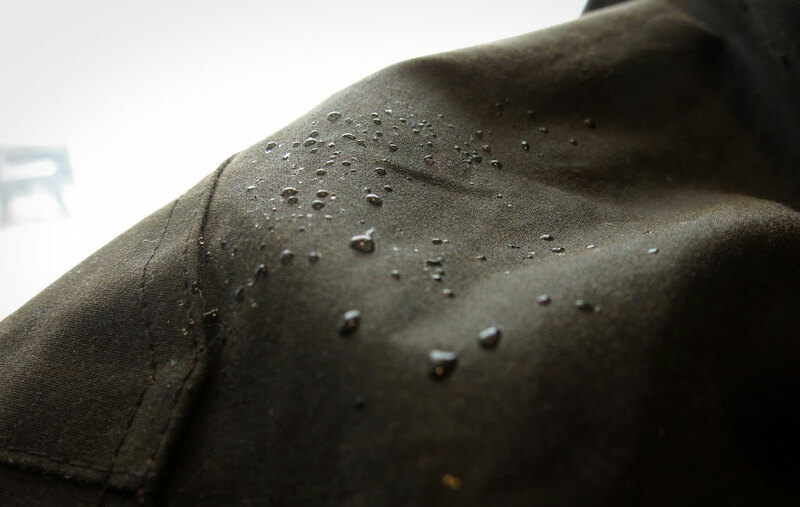 It’s hard to say how well the water repellence would last over time, but with regular re-waxing of the outer, there’s no reason to think that the performance of the fabric would ever degrade. That’s something you can’t say about your synthetic technical shells. The Triple Aught Talisman impressed me with its durability and sharp looks. While the bulk and weight might prevent it from replacing your top-end technical pieces, its utility and comfort makes it more than capable for any outdoor adventure for which ultralight packing isn’t a priority or for which durability is. Just like the company itself, the Triple Aught Designs Talisman Jacket is a mix of San Francisco fashion and Colorado ruggedness. 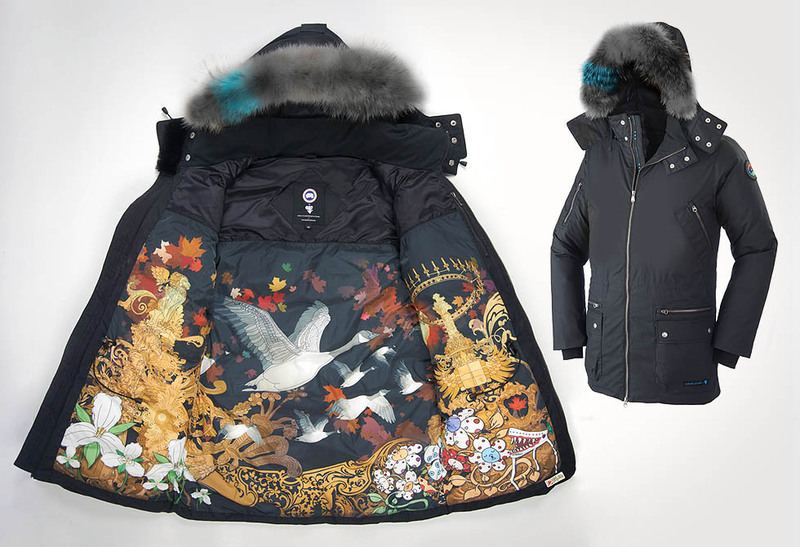 It does come with a San Francisco price tag that puts it alongside top-end technical clothing, but given that you’ll probably own this jacket for your entire life and then give it to your kids for theirs, you’re likely to get your money’s worth (and the timeless design will keep up just fine). 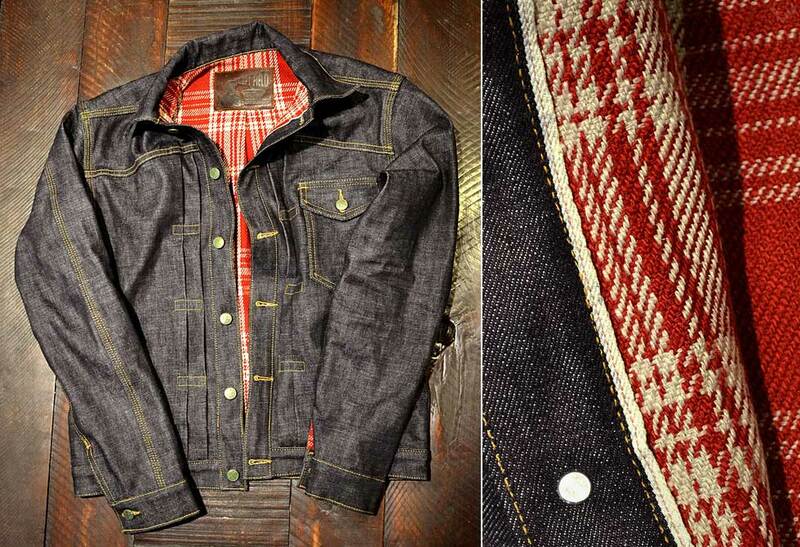 Bottom line: You can wear the Talisman jacket just about every day for just about anything for the rest of your life. From rugged outdoor adventures in the snowy backcountry to taking on the urban world at the chainsaw trade show, the Talisman will serve your well—ideally with a pet hawk and cello accompaniment. Find out more at Triple Aught Design. 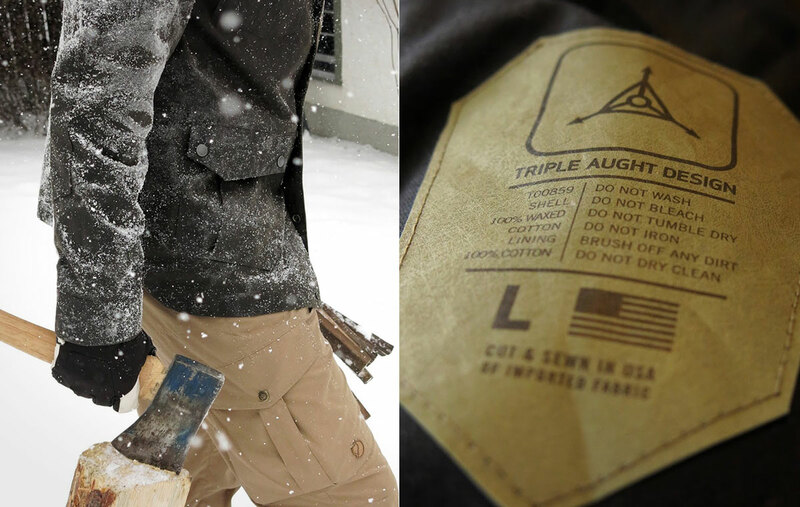 Special thanks to our contributor Dave Roberts for his review of the Triple Aught Talisman Jacket.